Depending on how you lived your life since you left school and entered adulthood you probably thought very little about retirement through the earlier years; after all, retirement was something for those frail and doddery old people in Post Office queues or at the bus stops right? Not vibrant young go-getters like you. But there’s one thing we can’t avoid – and that’s getting older (well, that and taxes as the old saying goes). You may now be at the stage where you need to consider what life will become when your working life is over. You may be the type of person who can’t wait to get out of the rat race and embrace a life that belongs completely and solely to you, or you could be worrying about how on earth you’re going to afford to live without a full-time wage coming in each week. Either way, to be better informed, whether to make the best plans and be prepared for what’s coming or simply to alleviate the worry of all the unknowns ahead, you need a plan. And here are a few suggestions on what should go into it. You’ve been used to living to a budget as a working individual or couple but things are going to change quite considerably when you retire and you need to know just how in order to be prepared for it. As with any budget, it’s all about income against expenditure. 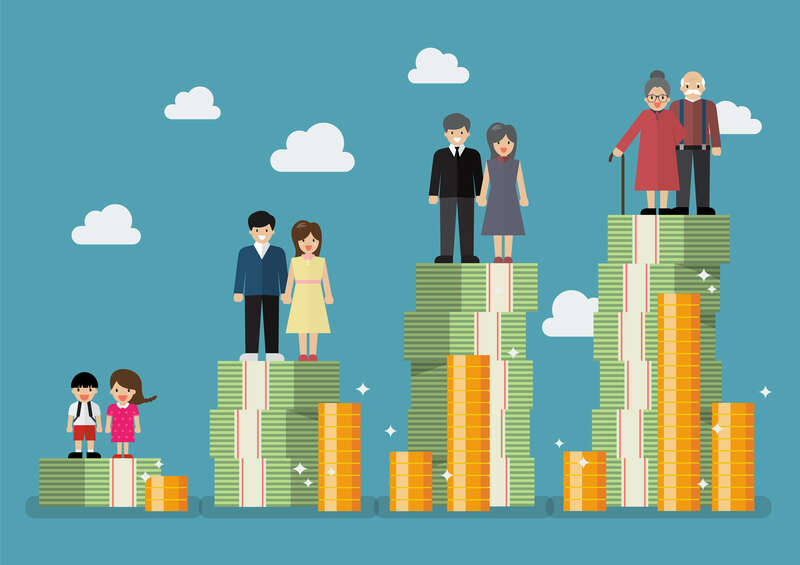 State Pension – Do you know what sources of income you’re going to have at retirement? Look into how much you’ll be granted as part of the state pension scheme. You can get a good estimate if you visit the State Pension pages on the government website. Your pension forecast can be calculated if you haven’t already received a State Pension statement. Defined benefit pensions – If you’ve been paying into an additional pension scheme through your employment, be it working for a large company or a public sector role, then you can check how much you’re entitled to receive at completion. You may choose to take a lump sum or as a regular income. Either way, it’s worth getting professional advice from a financial advisor about whether there are any costs or taxes to pay. These are defined by the amounts involved and the age you retire. Investments and savings – You may have made additional plans to boost your income upon retirement. Savings accounts, ISAs, property, shares or additional personal pensions; check out exactly how those investments have been performing and what kind of figure you can expect to glean from your forward planning. Boosting your income – You may also consider ways you might create extra income when you’ve retired. Leaving full-time employment is there to help take the pressure off us when we reach old age but if you’re still in good shape then you might consider it a great social and financial benefit to engage in some part-time work or a paying hobby that provides a little extra income to supplement your pension. You’re going to save a little money at retirement from the costs incurred in going to work – transport expenses, appropriate clothing or uniform costs, money for dinners or packed lunches and more will all disappear but with all that additional free time you’ll have then you’re likely to spend a lot more than you’re saving while filling each day with leisure activities and social engagements as well as on additional heating and other home utilities. Make sure you chart as many instances of income and expense as accurately as possible to give yourself a clear idea of how far your money is likely to go. There’s a good chance you’ll have to make changes to live on a lot less money that you’re used to so it’s important to know just how much before you slip towards any kind of hardship or debt problem that will be so much harder to resolve than before. As well as making sure you have an accurate prediction of your cost of living there are always going to be unwelcome surprises to put added pressure on you both financially and emotionally. Build up your emergency fund – If you haven’t got a savings account already set up to take care of those nasty surprises then you ought to start building one; especially as you near retirement. Any problem with your home or a medical emergency you could never predict could easily tip you over your financial limit. Pay off existing debts – Interest on any debts you haven’t paid off is simply going to eat into your already reduced income. If you can pay off all of your credit card debts, loans or overdrafts before you retire then it means 100% of whatever income you have will be entirely yours to budget with. Finances can be a complicated business, especially in understanding how your different pensions will operate, so it’s strongly recommended to seek out the advice of a specialist who will show you plenty of ways to make sure your retirement is a healthy and happy time and not one of struggles, worry and hardship. A good financial advisor will help you understand the various pitfalls on approaching retirement that many miss and how to make sure everything is taken care of to ensure you can not only pay your way but have enough to enjoy the retirement you’ve been hoping for.